Today I want to present you with the wedding in Palacete de Cazulas I shoot as wedding photographer in Málaga and Marbella. 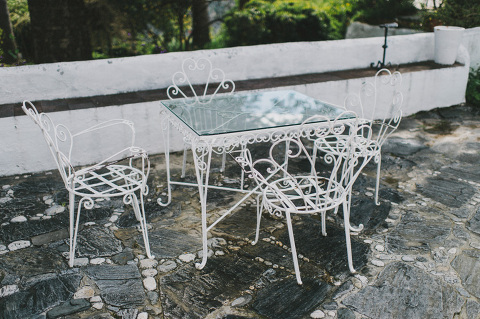 The Palacete de Cazulas is the ideal location to celebrate a destiny wedding in the sun. This spectacular mansion villa in Andalusia it´s a jewel of the Mediterranean culture. 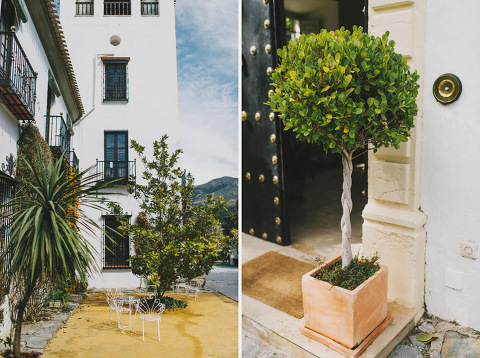 Set in the heart of southern Spain, the Palacete de Cazulas is an impressive setting formed by a typical Mediterranean garden, an elegant mansion able to accommodate up to 34 people, an outside summer bar/eating area, several large terraces, a swimming pool, a dining hall and a private chapel. Having your wedding in Palacete de Cazulas is without a doubt a great choice and one of the best settings to celebrate a destiny wedding in the sun. 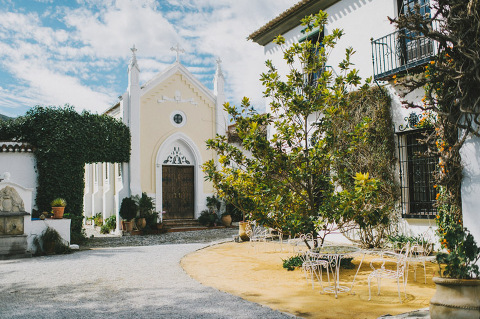 The surroundings are just magical and the opportunity to celebrate a rustic wedding in Andalusia in your own private chapel with a reception alfresco afterwards is something definitely worth considering. This is the scenery where Ryan and Colleen choose to get married and thanks to which I had the opportunity to work as a wedding photographer in Andalusia once again. It was a very nice, relaxed and intimate rural wedding in the sun which started with the wedding preparations early in the morning. Bride and groom got ready in separate rooms of the villa with the help of some of their relatives. The ceremony took place in the private chapel of the Palacete de Cazulas. It was a traditional catholic ceremony where bride and groom exchanged vows surrounded by their most close relatives and friends. Coleen´s sister read a very emotional speech and the couple exchanged rings. Then the newlywed left the chapel arm in arm followed by the guests and they enjoyed a walk through the beautiful Mediterranean gardens at the Palacete de Cazulas. Then we decided to take advantage of the beautiful surroundings and we use every scenery in the villa to shoot a very rustic wedding photographic report. We took pictures of the couple in the colourful Mediterranean gardens, in the different terraces, patios and its very special typical olive oil mill. The dinner took place at the dining hall where the guests enjoyed a carefully prepared homemade dinner and then they dance and enjoyed the wedding celebration afterwards. Colleen and Ryan´s wedding in Palecete de Cazulas was a very intimate and beautiful ceremony that we all enjoyed very much. It looked like a dreamed destiny wedding and it was a pleasure for me to work in this rustic wedding. As a wedding photographer in Malaga and Marbella this is a beautiful setting I highly recommend to celebrate a wedding in the sun. I hope you enjoyed this post and the wedding photographs in it. Please, don´t hesitate in contacting me for a rural wedding in Andalusia, I´ll be happy to serve!